April is quite a good month in 2019 so far for releases. A number of exclusive titles, alongside highly anticipated games such as World War Z, make it quite a competitive month. The most notable games releasing in April 2019 are as follows. Nintendo Labo VR will launch on the 14th of April 2019, bringing with it a number of different kit options for Nintendo Switch owners. Consumers can choose between the VR Starter Set Bundle and Blaster for £34.99, VR Expansion Set 1 or 2, both for £19.99 each, and the entire Nintendo Labo VR Kit for £69.99, which packs in all Nintendo Labo VR accessories. Snooker 19 releases on the 17th of April 2019 for both Xbox One and PlayStation 4 for £29.99. The game brings the definitive snooker experience to home consoles with both an intense single-player experience, and a full suite of multiplayer modes for players to compete in. 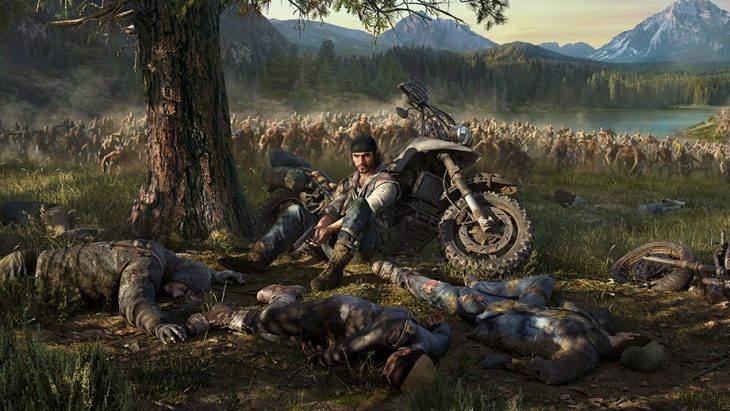 Days Gone is a PlayStation 4 exclusive from Bend Studio, launching on the 26th of April 2019. The game puts players in the shoes of protagonist Deacon in a different sort of post-apocalypse. Hordes of Freakers roam the countryside, and they must be artfully avoided as players restore Deacon’s motorbike. The game is available in three editions; a standard edition for £49.99. A Special Edition, which includes a Steelbook case, digital and physical artbook, digital and physical soundtrack, in-game Monkey Wrench Skill unlock, three in-game Drifter Biker Skins, and a Dynamic Playstation Theme for £64.99. Finally a Collector’s Edition is also available, which includes all of the additional content from the Special Edition, plus 4 Decals, a Days Gone Patch, 6 Collector Pins, and a Days Gone Statue for £119.99. Some retailers are also offering special pre-order bonuses, such as a Crossbow Early Unlock, Gas Tank Upgrade, Nitrous Upgrade, and Shroud Upgrade. Mortal Kombat 11 launches for PlayStation 4 and Xbox One on the 23rd of April 2019, but for Nintendo Switch on the 10th of May 2019, and is available in a standard edition for £49.99. The game is the latest entre to the Mortal Kombat series of fighting titles, bringing updated characters and fighting styles to the beloved arcade series. A Kollector’s Edition of the game is available for £279.99, which comes with the Premium Edition of the game, a Steelbook case and magnet, a 1:1 scale Scorpion Mask with a certificate of authenticity, and a Collector’s Box. the Premium Edition contents include the base game with the first Kombat Pack, adding 6 DLC characters with 1 week early access to each, 7 exclusive characters skins, and additional gear sets. The Premium Edition of Mortal Kombat 11 is also available separately for £79.99. A Steelbook Edition of the game can be purchased for £52.99, and various Arcade Fight Stick Editions are also available for around the £200 price mark. The final notable release for April 2019 is World War Z, which launches on the 16th of April 2019. The game is a 4 player cooperative experience set in the World War Z universe, pitting groups of 4 players, or less with AI characters, against the hordes of zombies only ever seen in the World War Z movie. The game is available on Xbox One and PlayStation 4 for £34.99.